The Huntley & Palmers biscuit business began in a small bakery in Reading, where biscuits sold to coach travellers were made at the back of Joseph Huntley’s shop. By 1846, five years after George Palmer joined the firm, the company had moved to a factory site in Kings Road, Reading, near to the newly opened railway line. 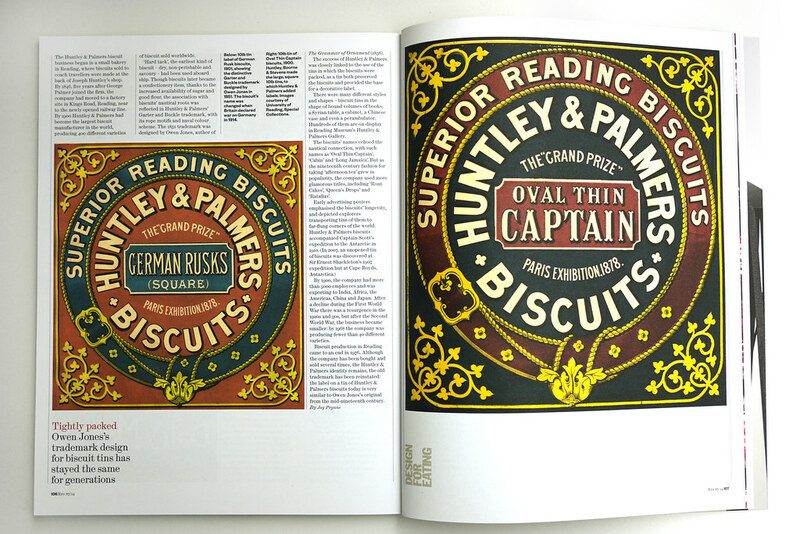 By 1900 Huntley & Palmers had become the largest biscuit manufacturer in the world, producing 400 different varieties of biscuit sold worldwide. ‘Hard tack’, the earliest kind of biscuit – dry, non-perishable and savoury – had been used aboard ship. Though biscuits later became a confectionery item, thanks to the increased availability of sugar and good flour, the association with biscuits’ nautical roots was reflected in Huntley & Palmers’ Garter and Buckle trademark, with its rope motifs and naval colour scheme. The 1851 trademark was designed by Owen Jones, author of The Grammar of Ornament (1856). The success of Huntley & Palmers was closely linked to the use of the tins in which the biscuits were packed, as a tin both preserved the biscuits and provided the base for a decorative label. There were many different styles and shapes – biscuit tins in the shape of bound volumes of books, a Syrian table, a cabinet, a Chinese vase and even a perambulator. Hundreds of them are on display in Reading Museum’s Huntley & Palmers Gallery. 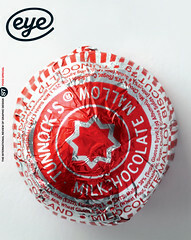 The biscuits’ names echoed the nautical connection, with such names as ‘Oval Thin Captain’, ‘Cabin’ and ‘Long Jamaica’. But as the nineteenth-century fashion for taking ‘afternoon tea’ grew in popularity, the company used more glamorous titles, including ‘Rout Cakes’, ‘Queen’s Drops’ and ‘Ratafias’. By 1900, the company had more than 5000 employees and was exporting to India, Africa, the Americas, China and Japan. After a decline during the First World War there was a resurgence in the 1920s and 30s, but after the Second World War, the business became smaller: by 1968 the company was producing fewer than 40 different varieties. Biscuit production in Reading came to an end in 1976. Although the company has been bought and sold several times, the Huntley & Palmers identity remains, the old trademark has been reinstated: the label on a tin of Huntley & Palmers biscuits today is very similar to Owen Jones’s original from the mid-nineteenth century.